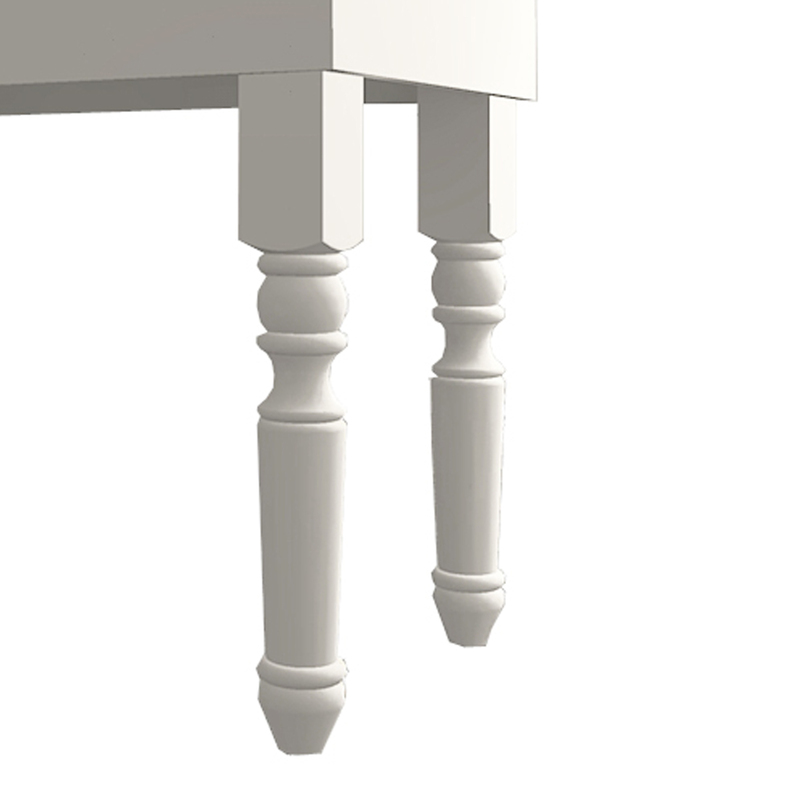 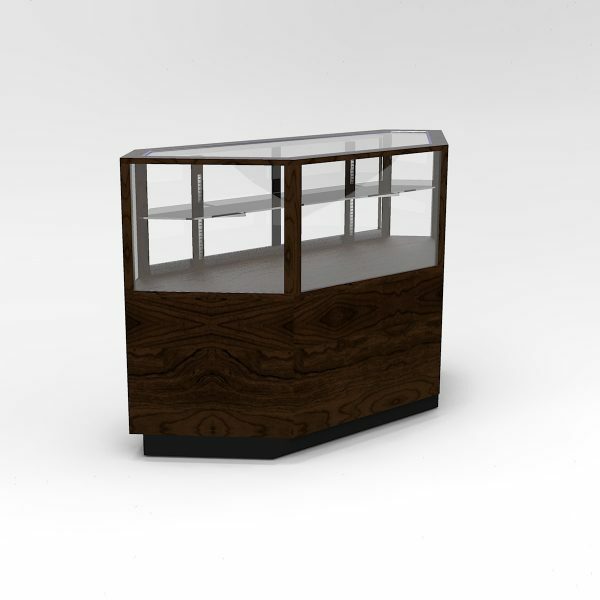 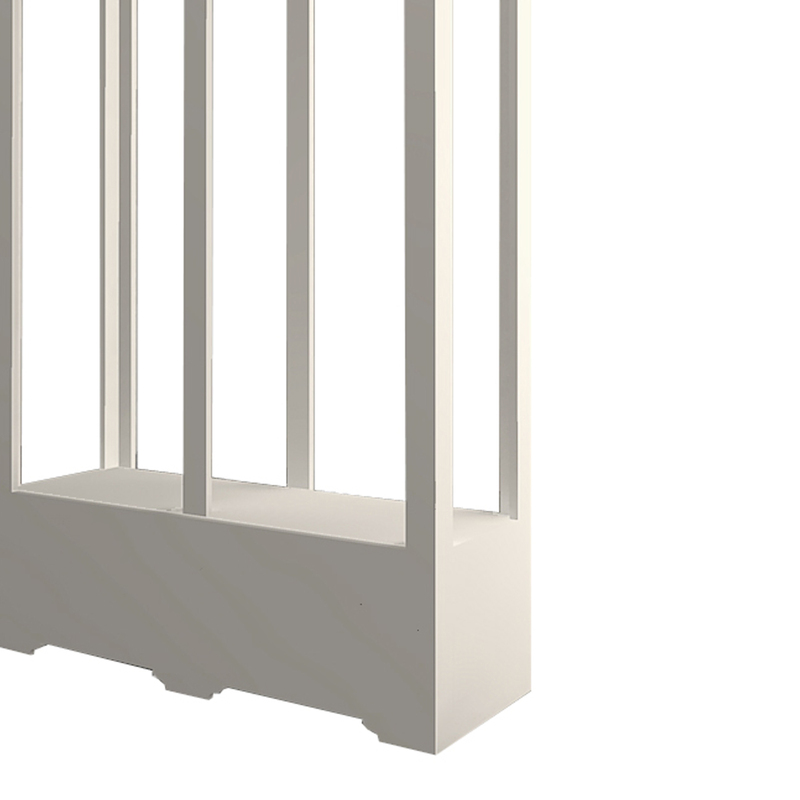 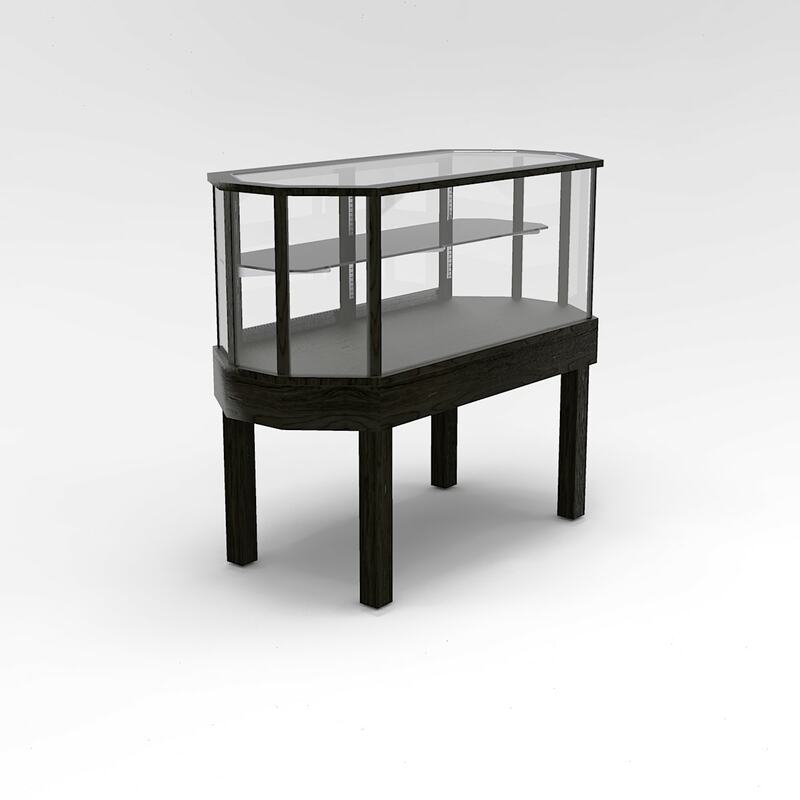 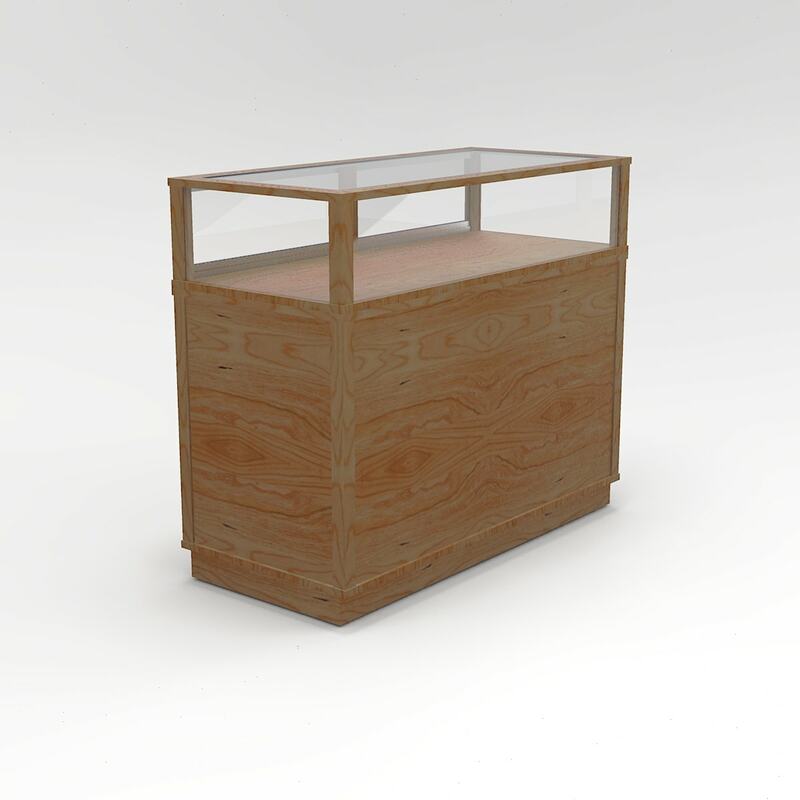 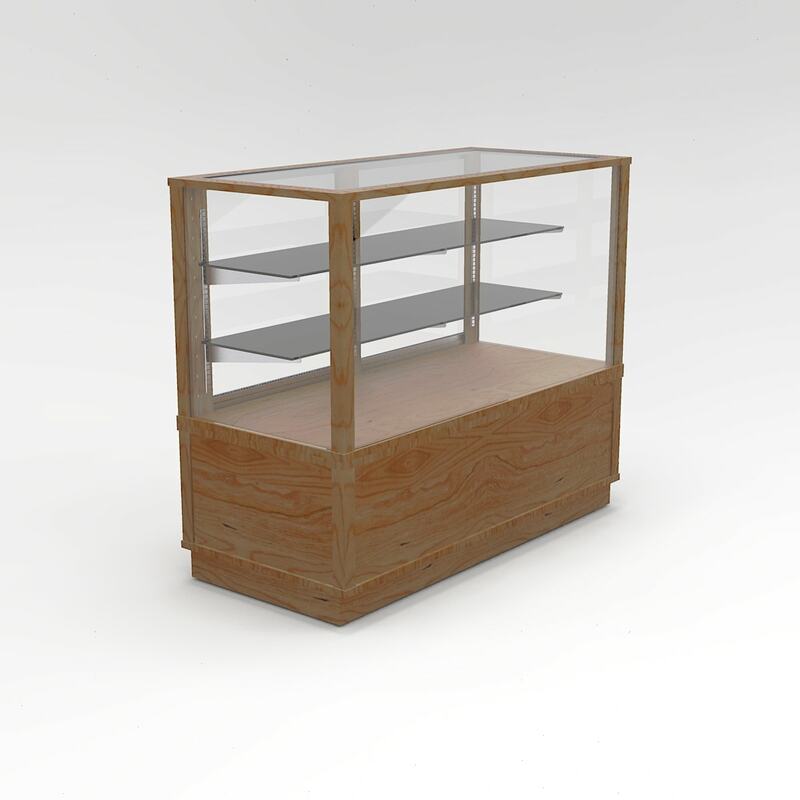 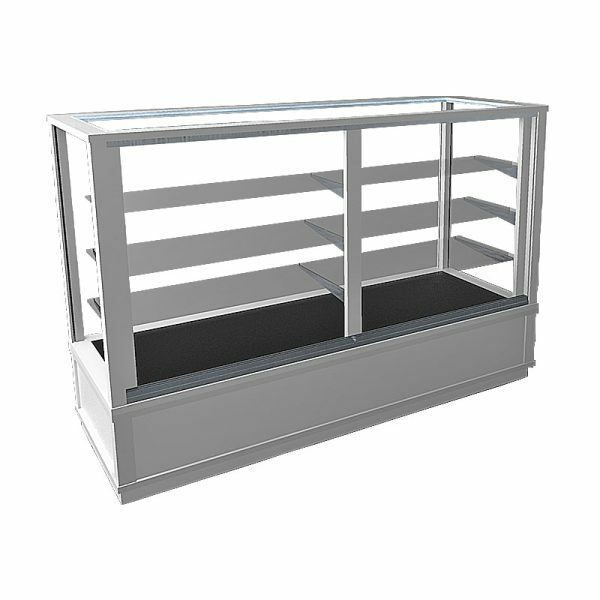 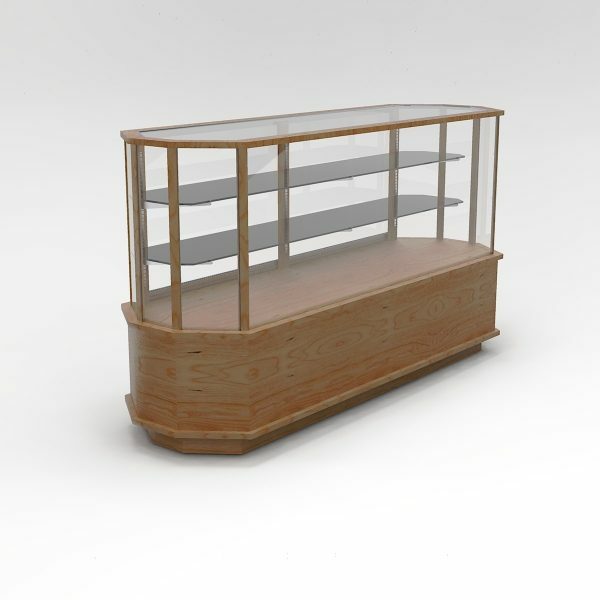 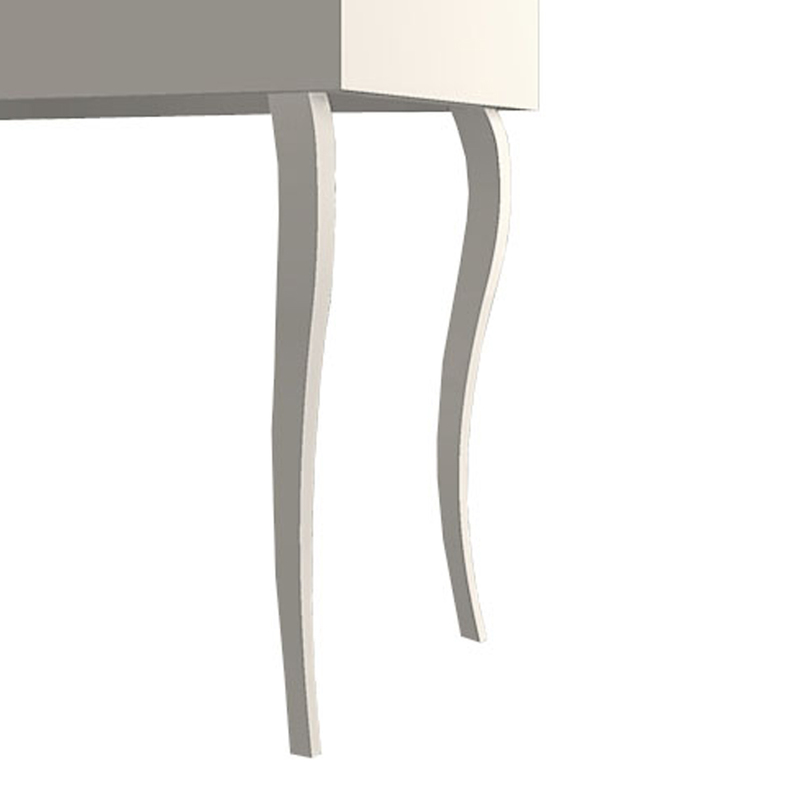 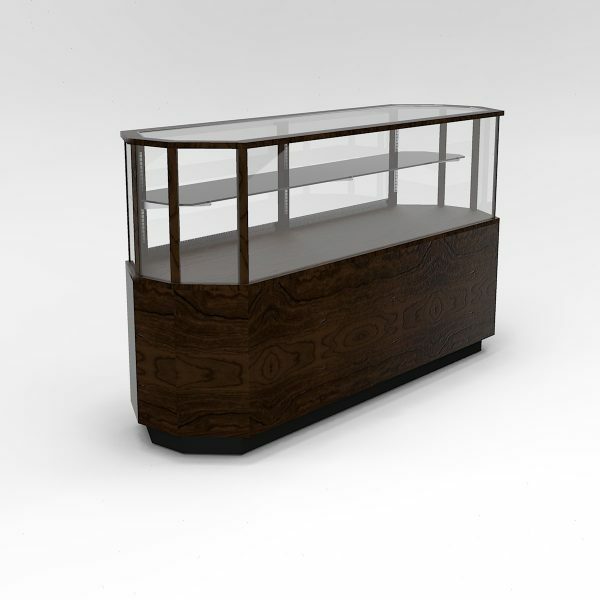 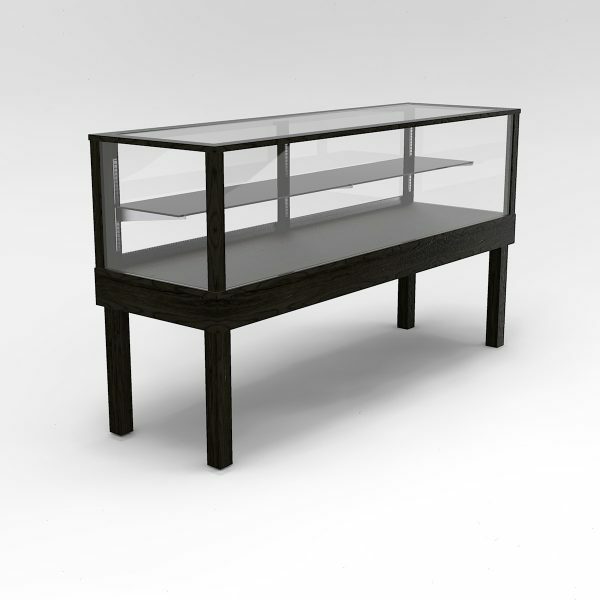 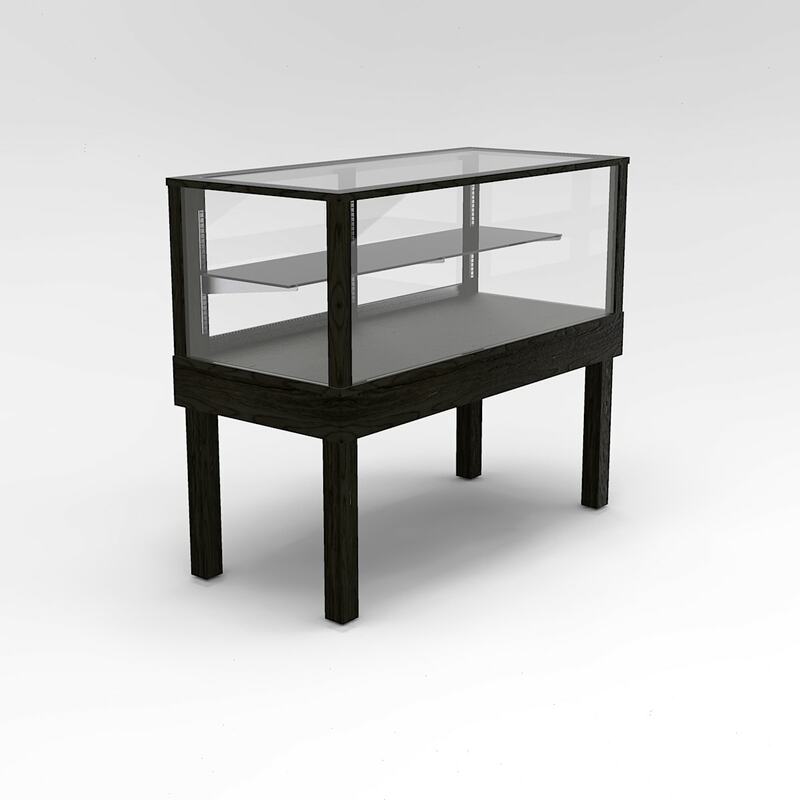 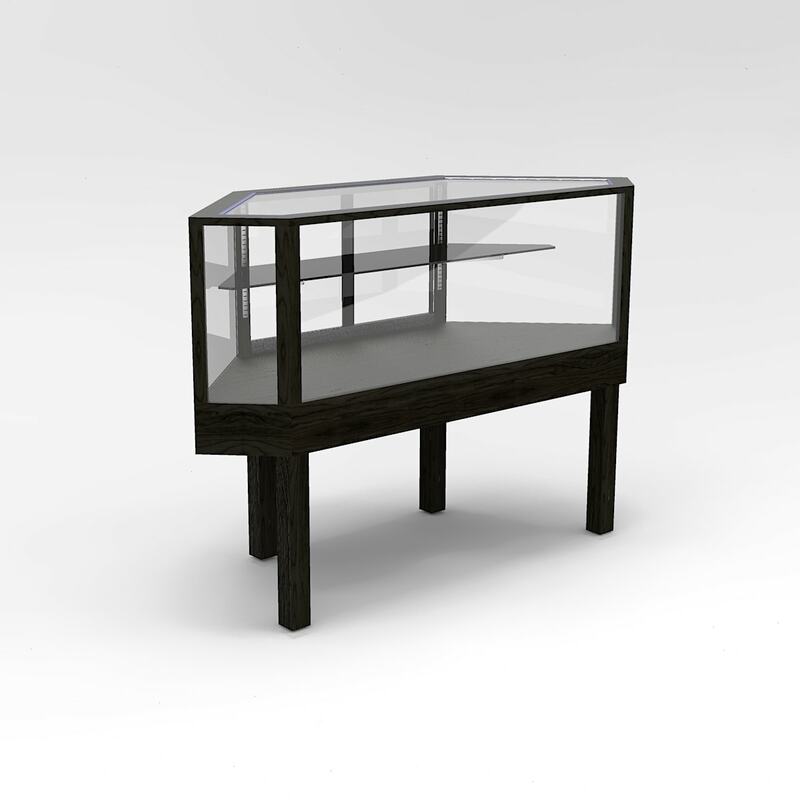 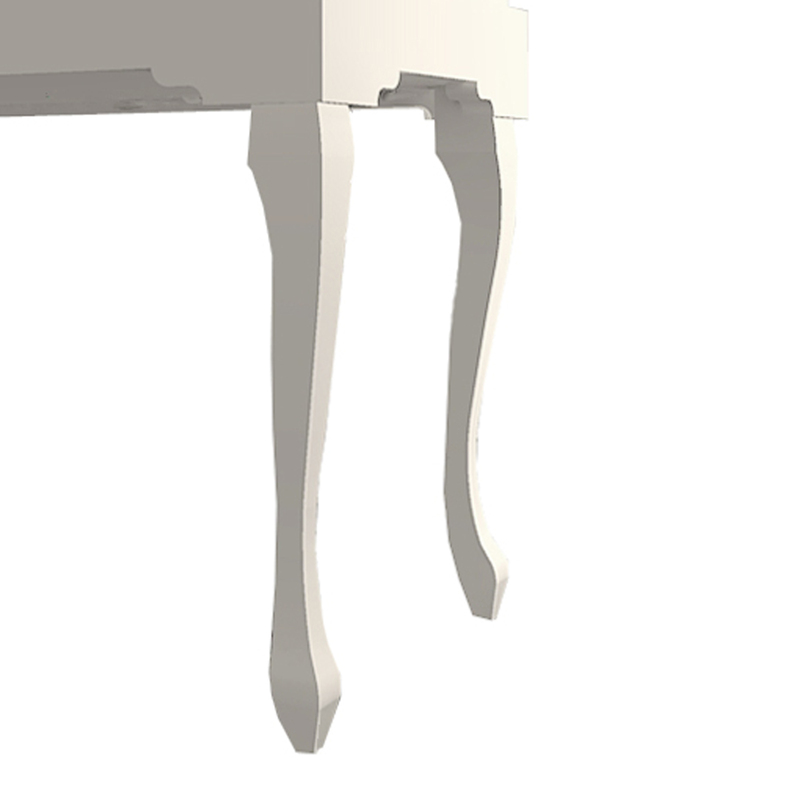 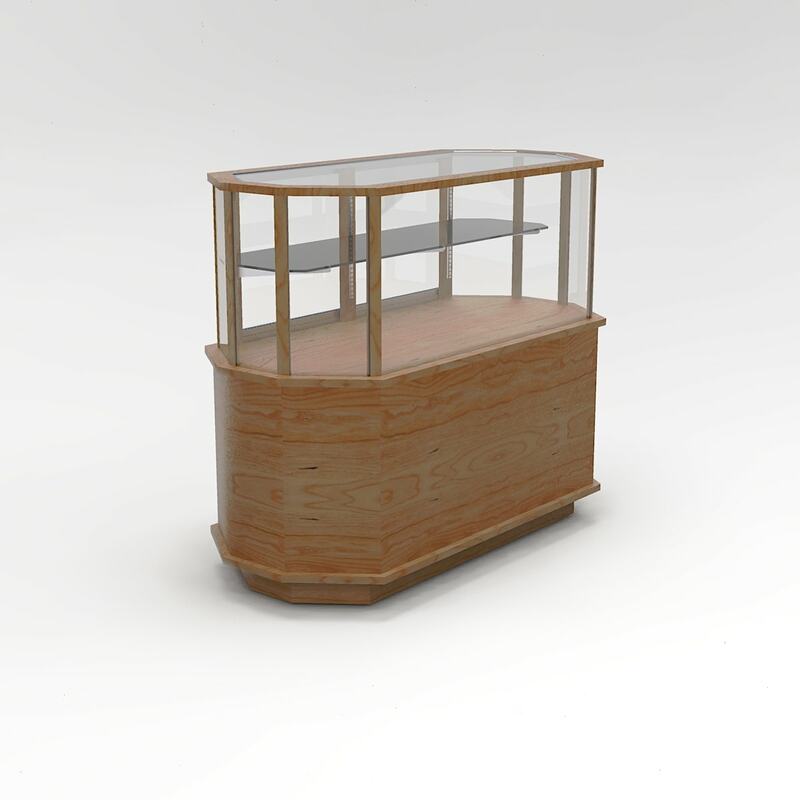 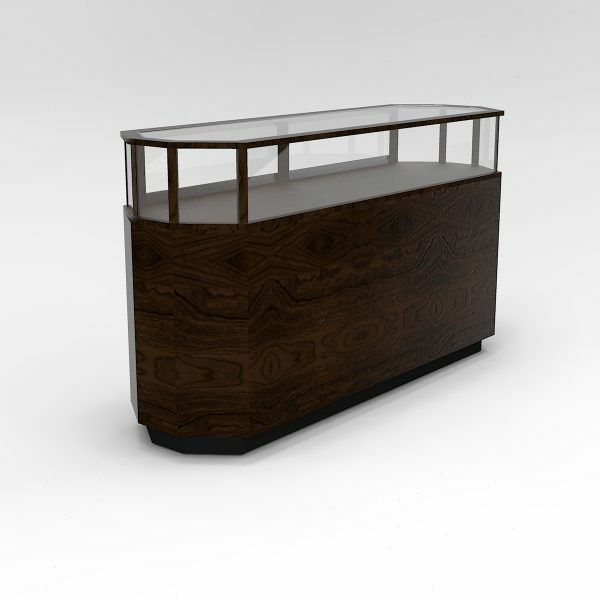 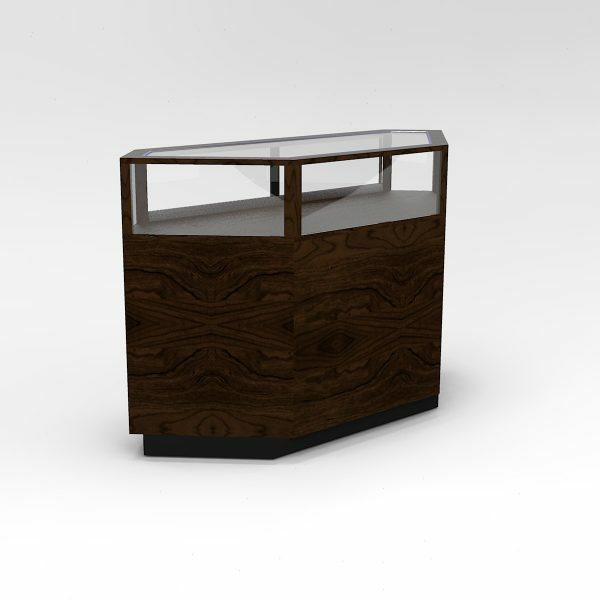 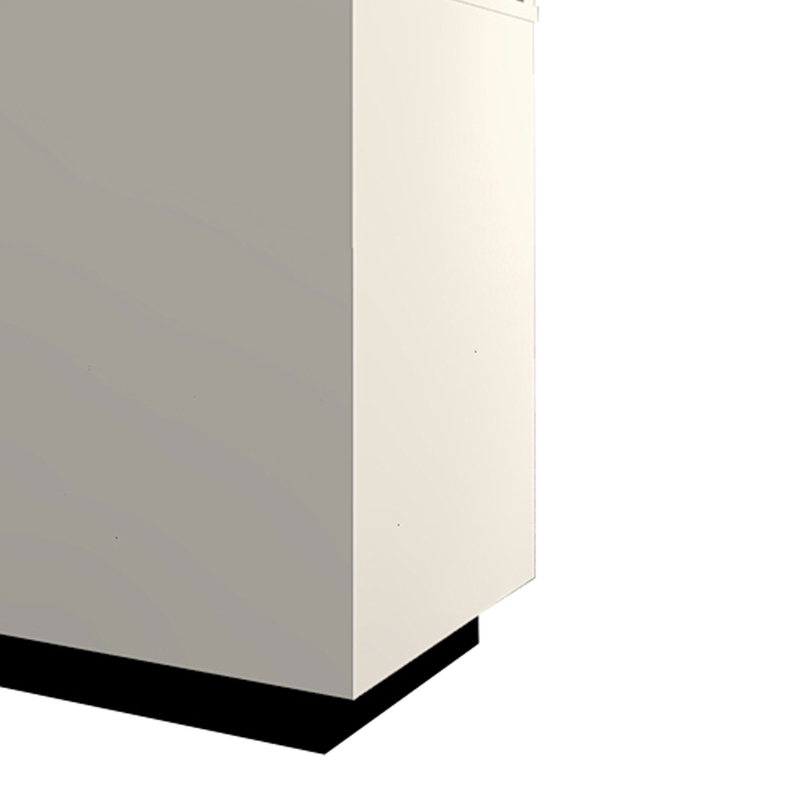 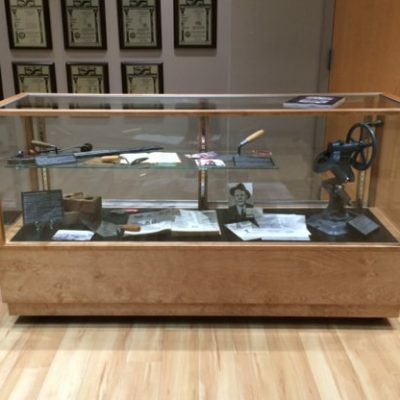 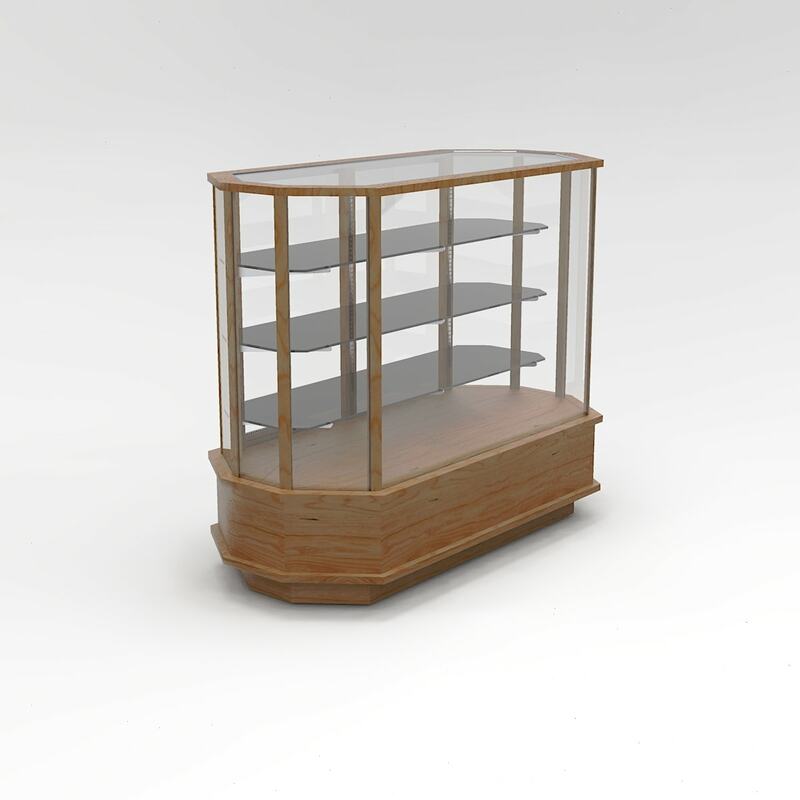 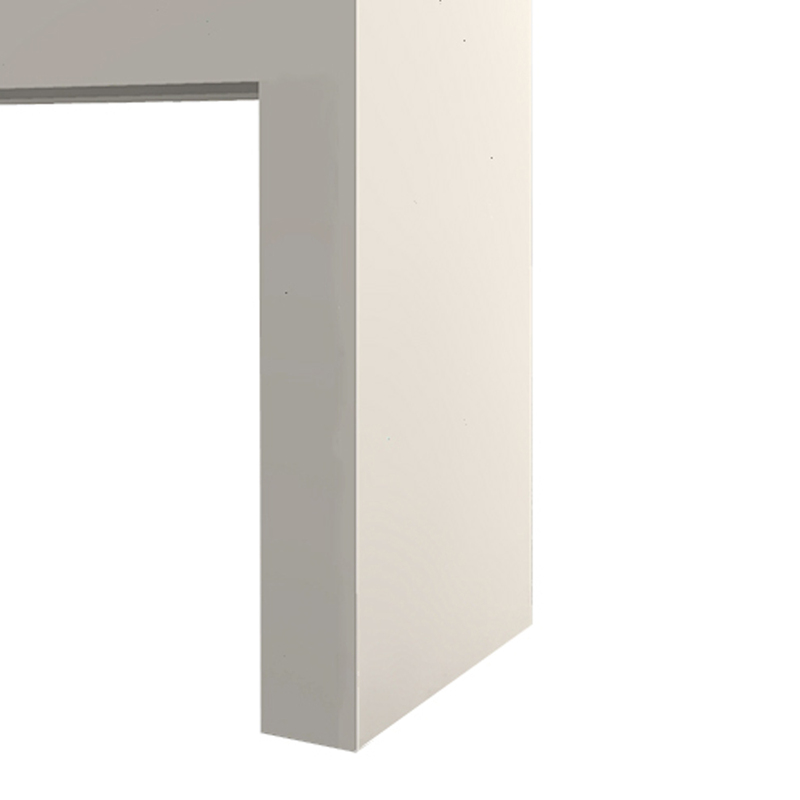 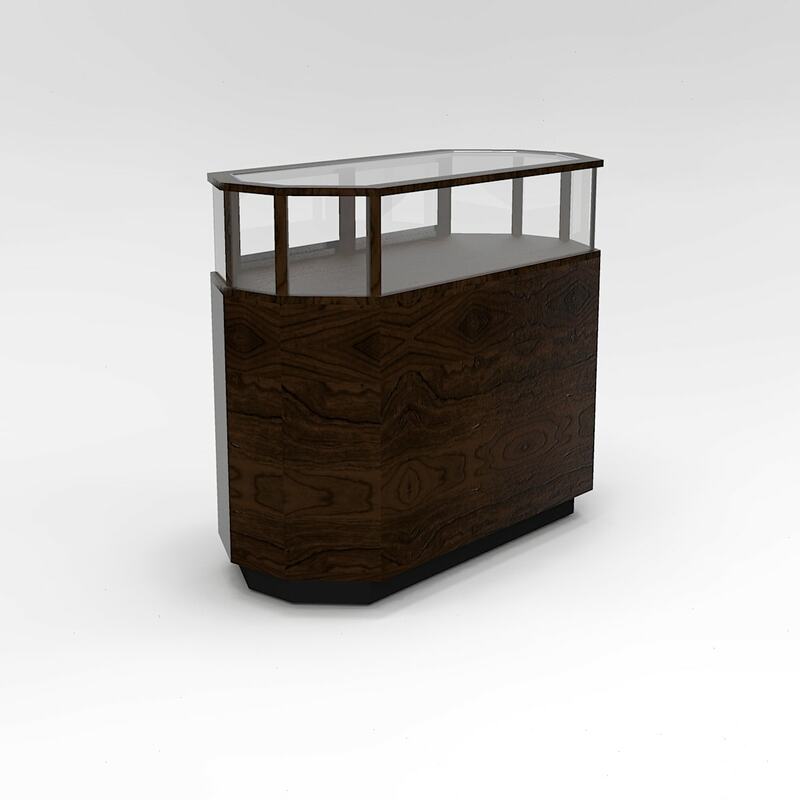 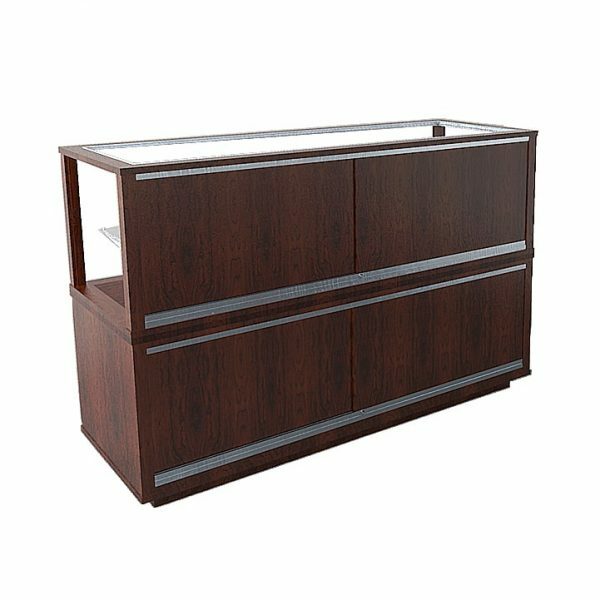 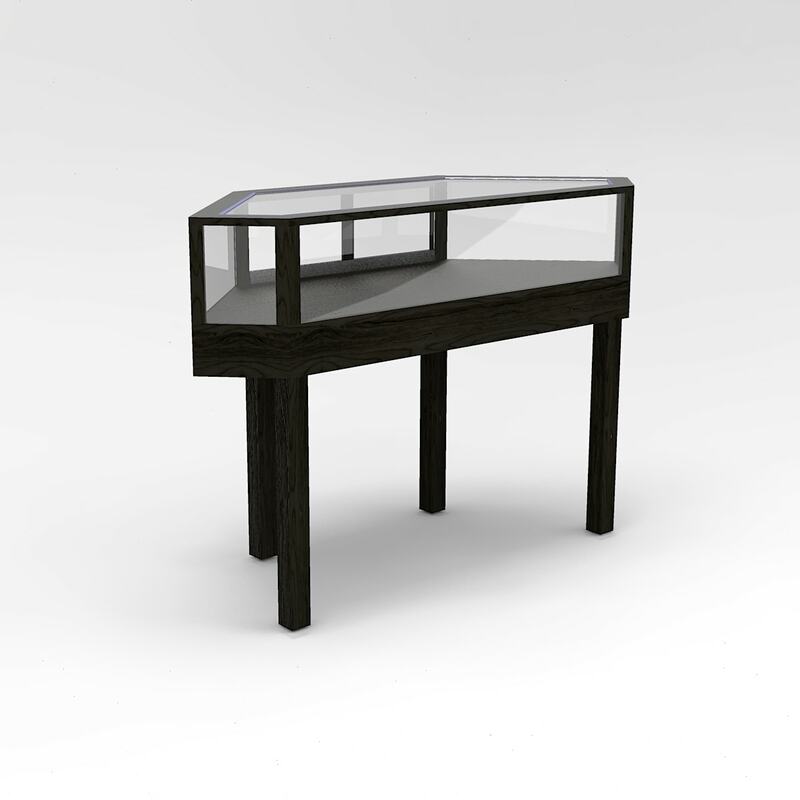 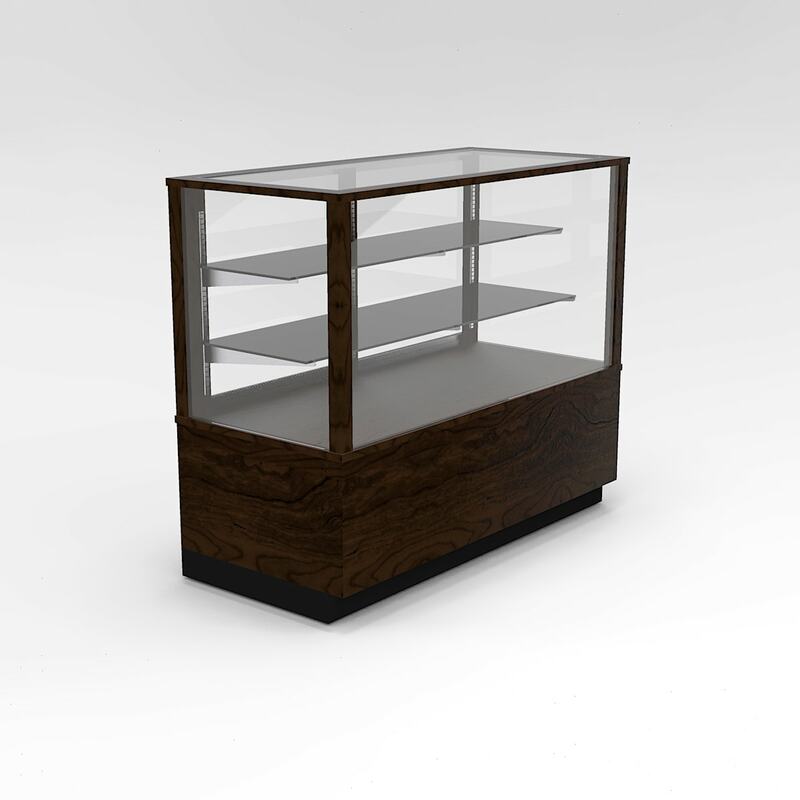 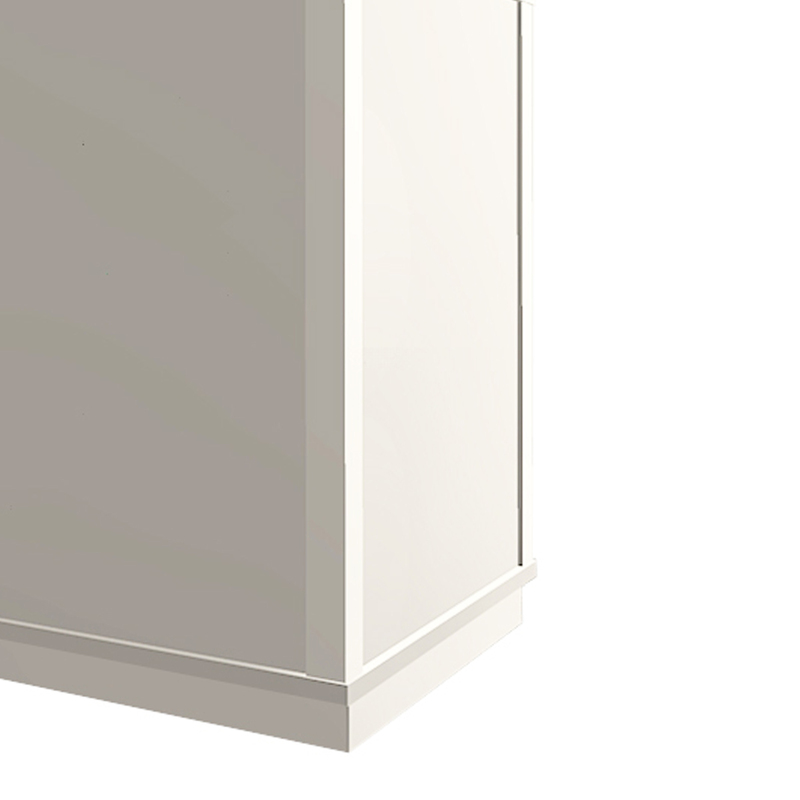 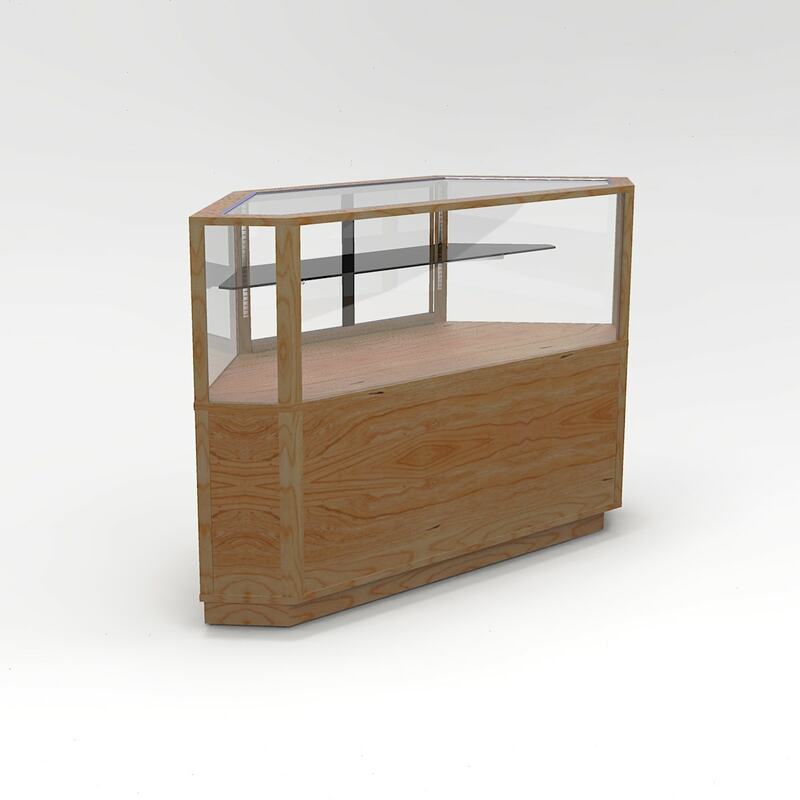 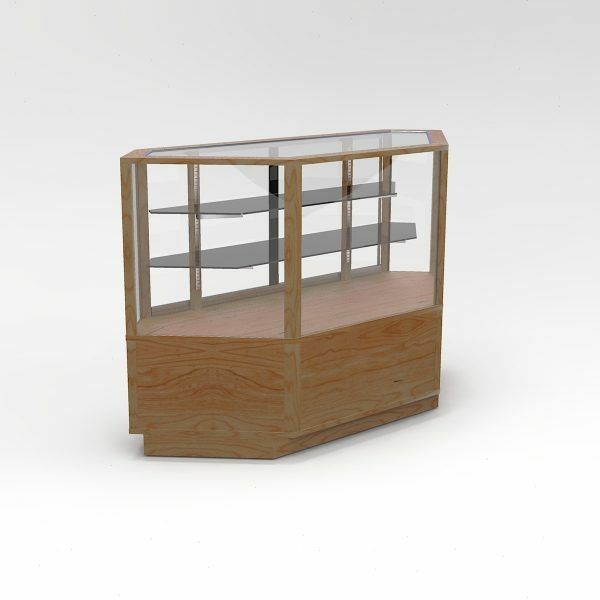 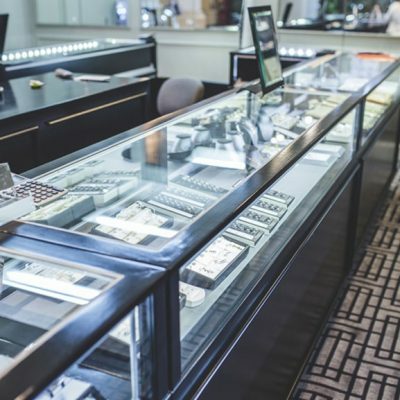 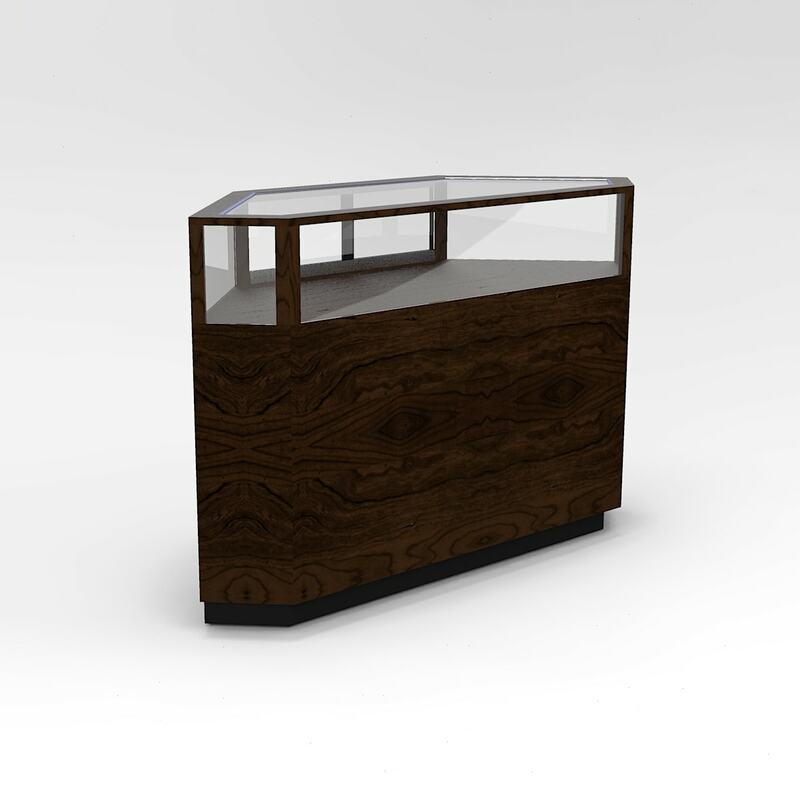 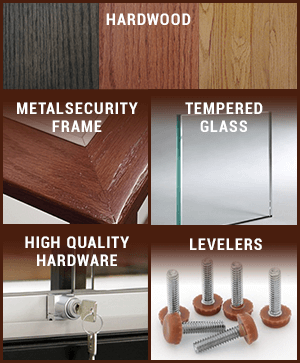 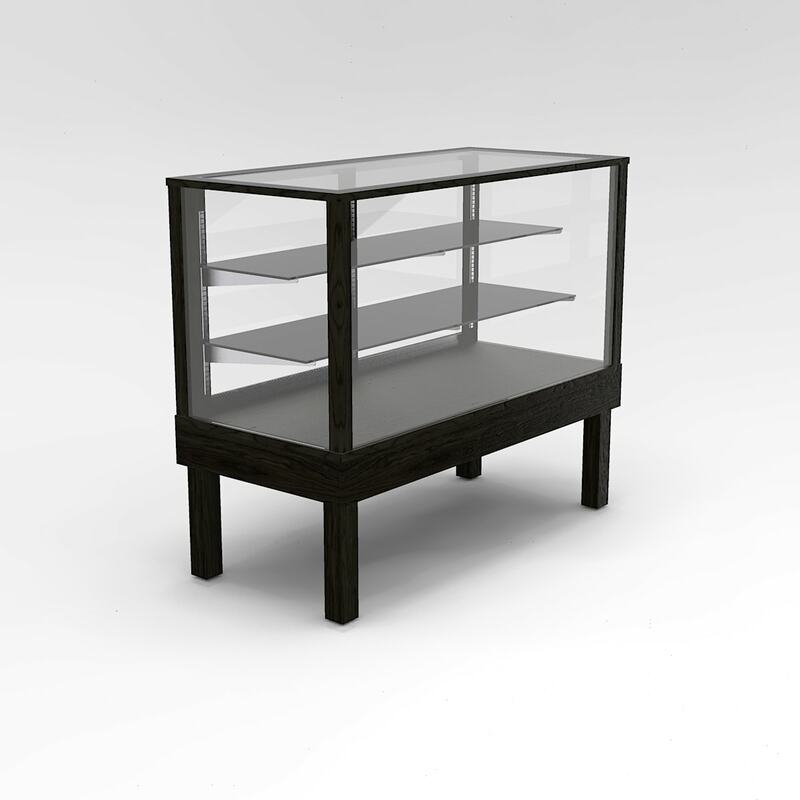 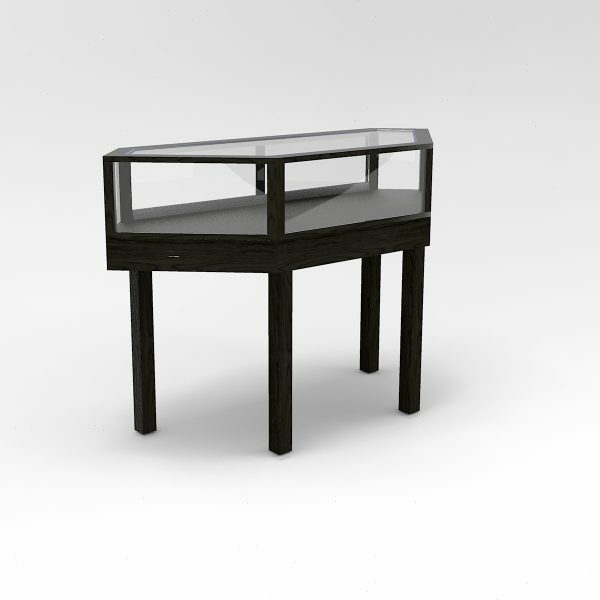 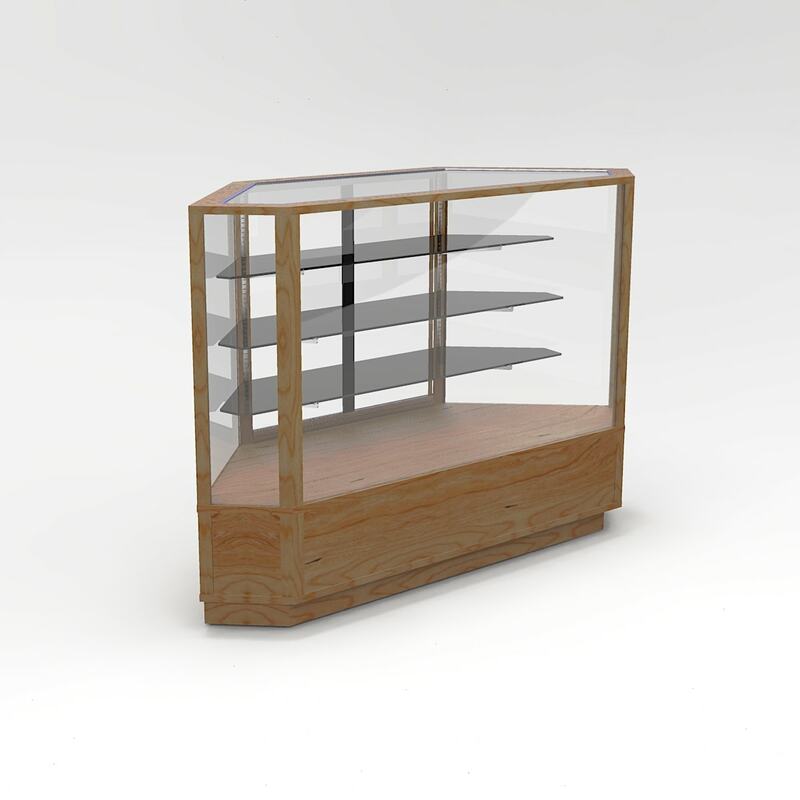 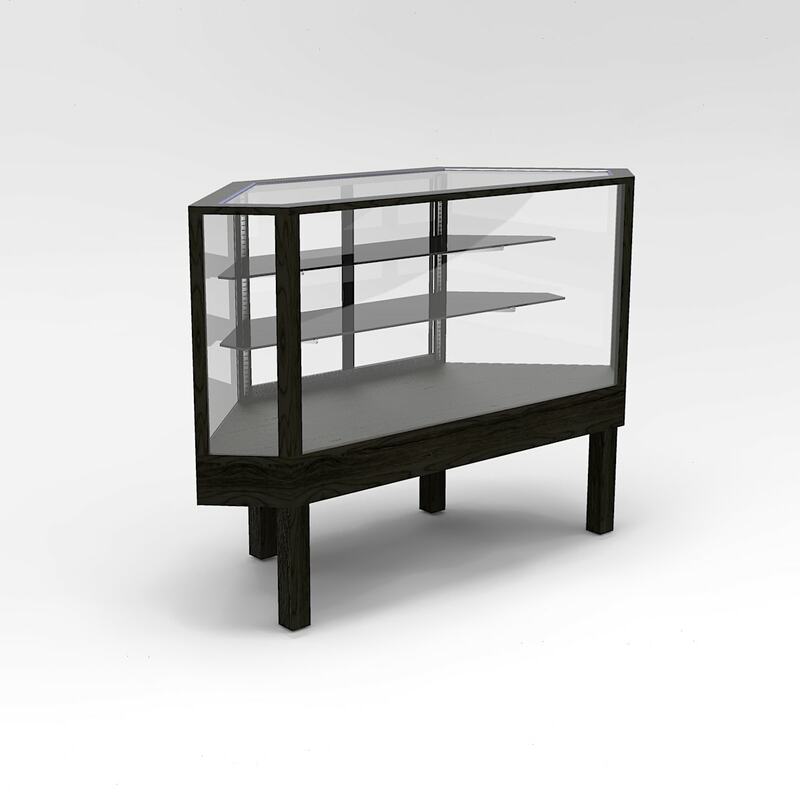 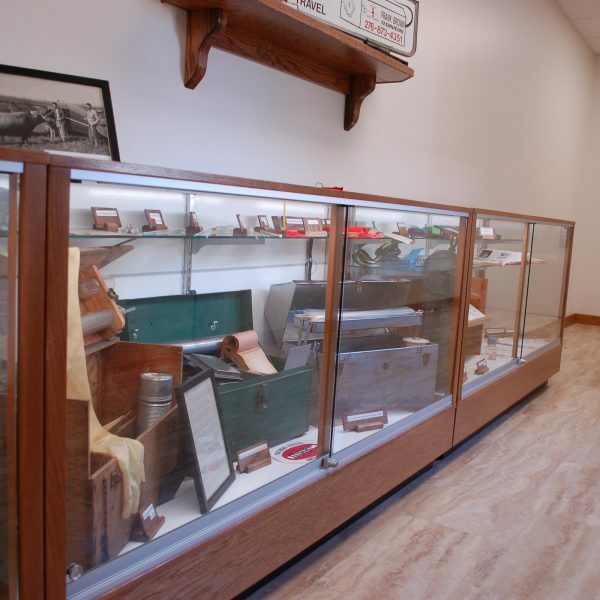 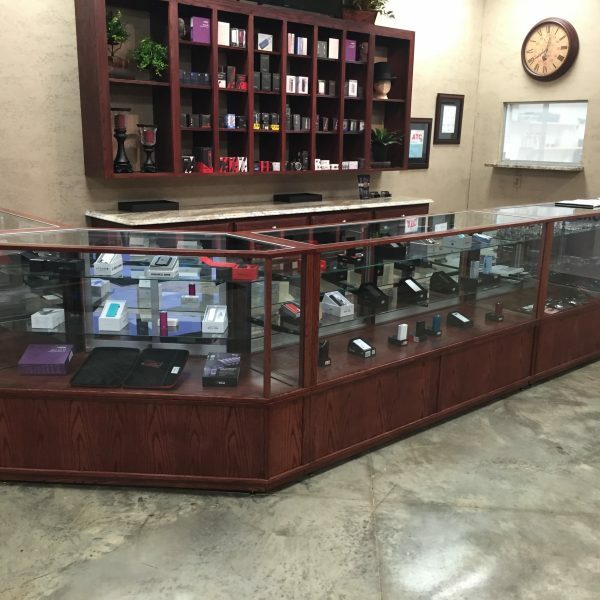 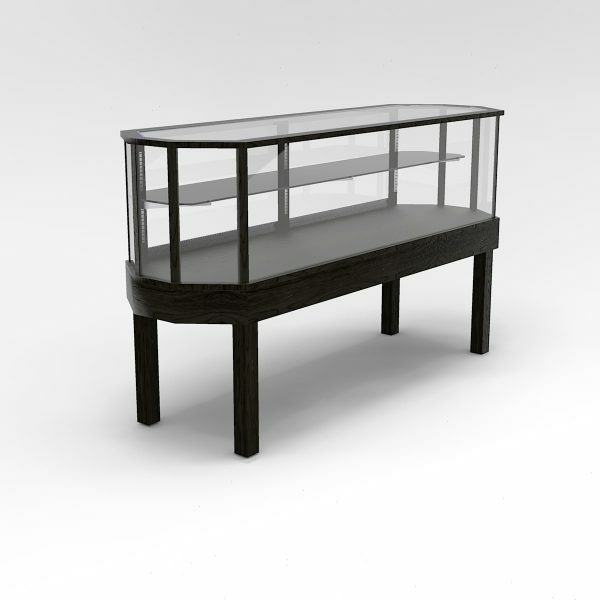 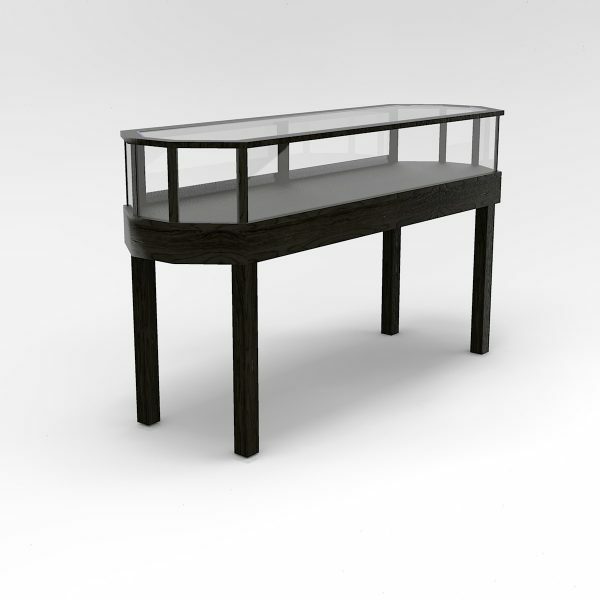 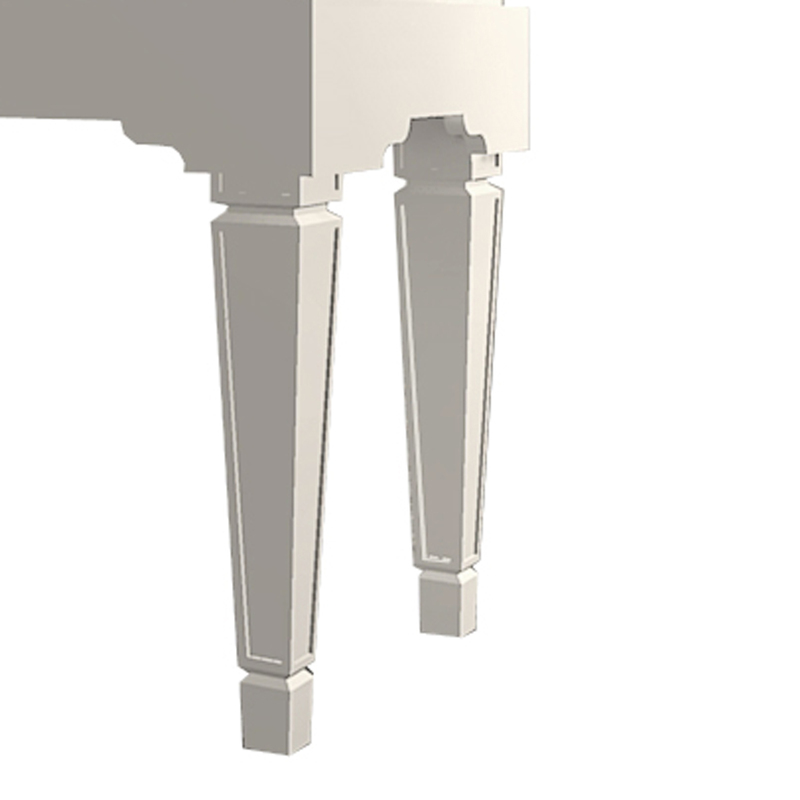 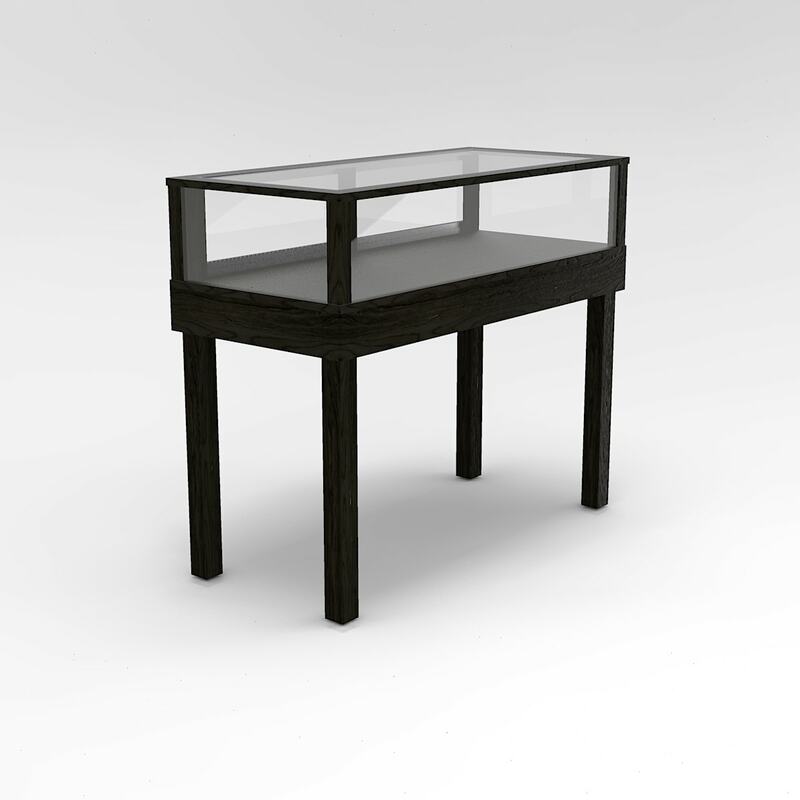 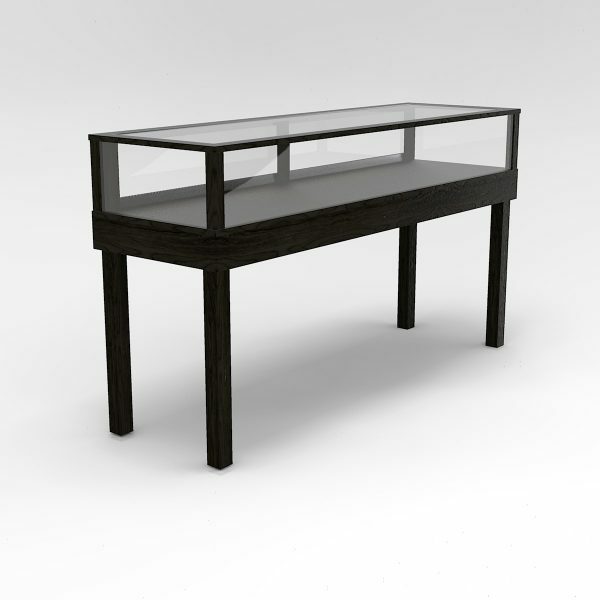 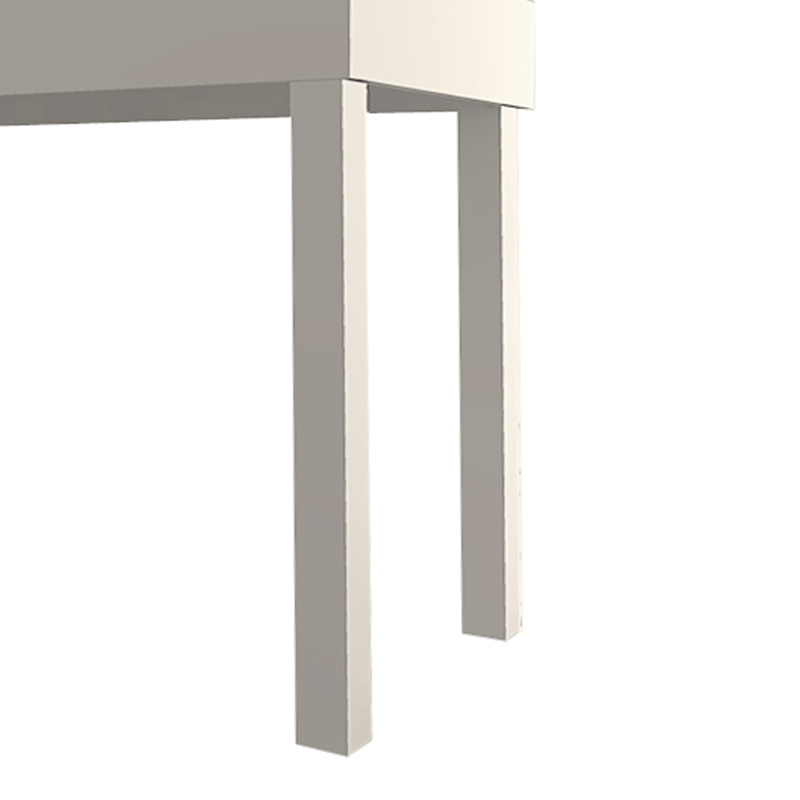 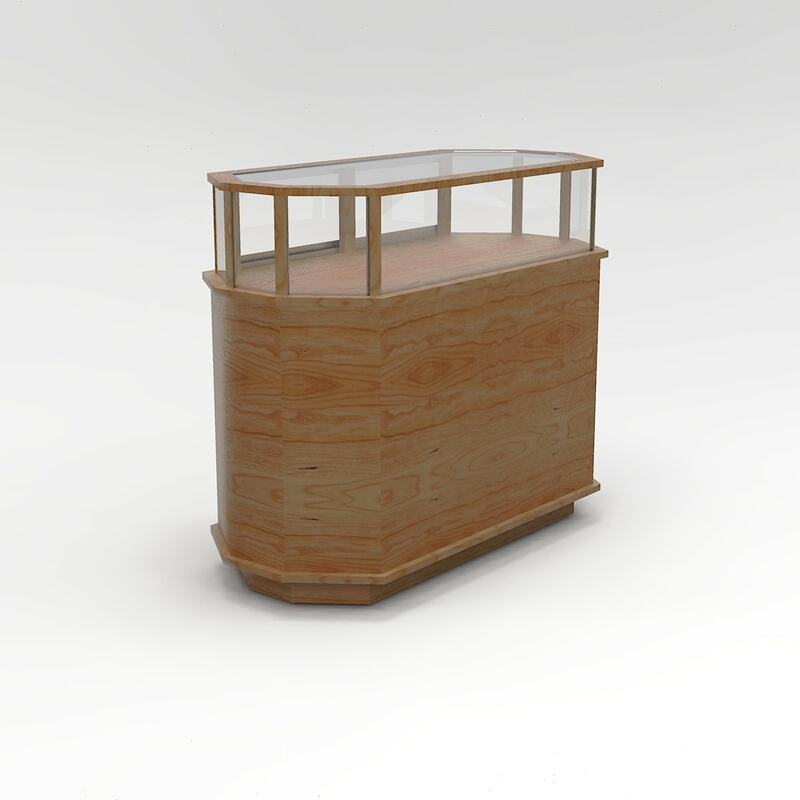 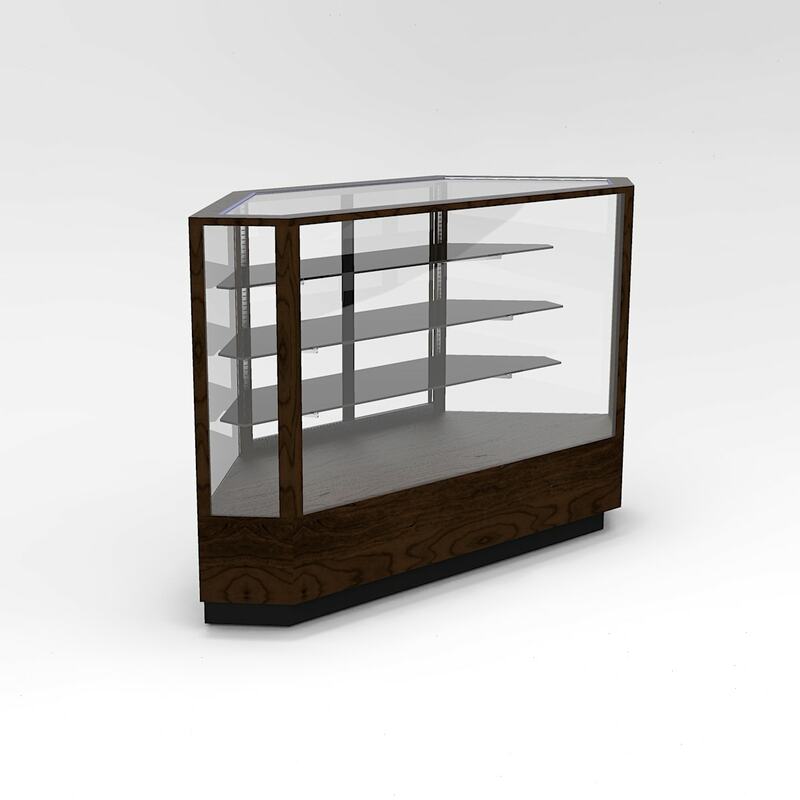 Types of cases include horizontals, towers, pedestals, cash wraps, wall-mounted, and more. 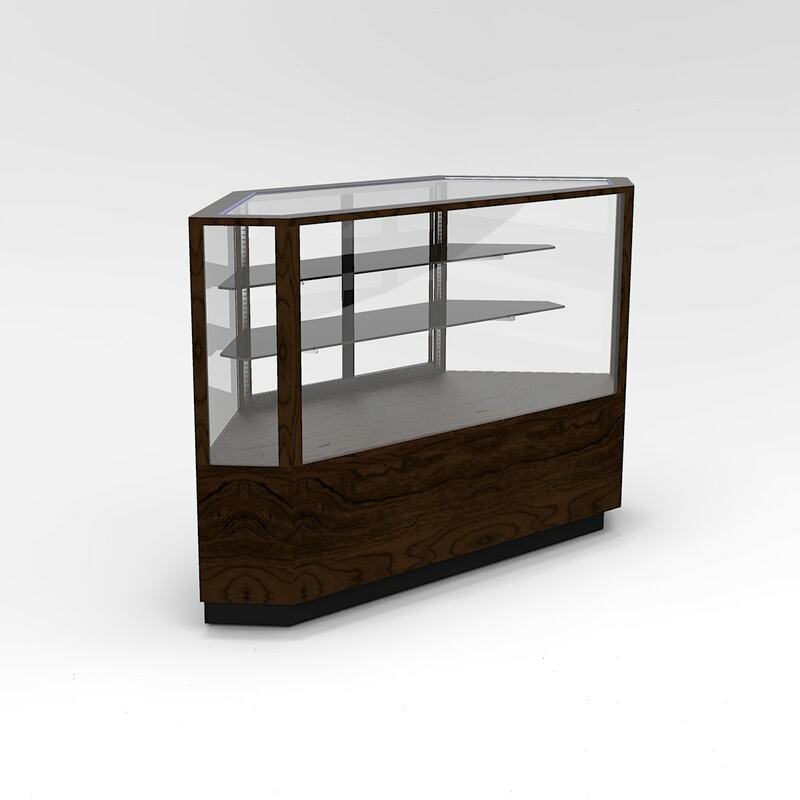 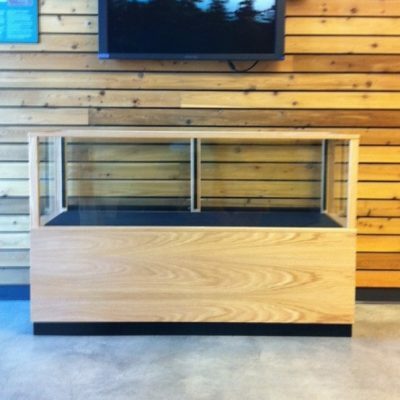 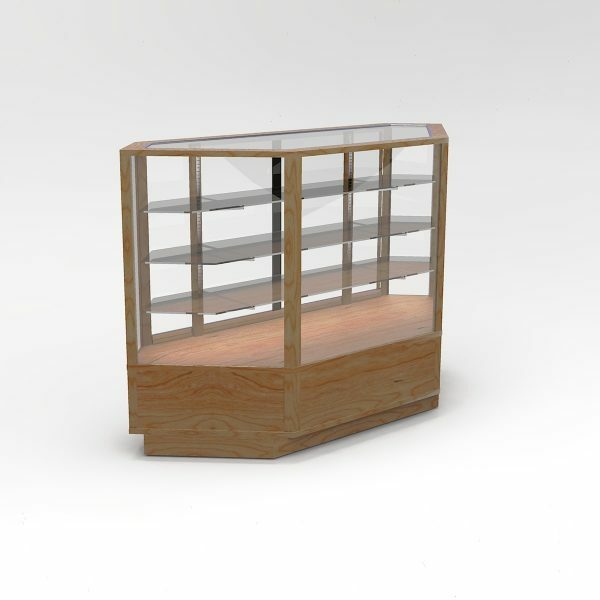 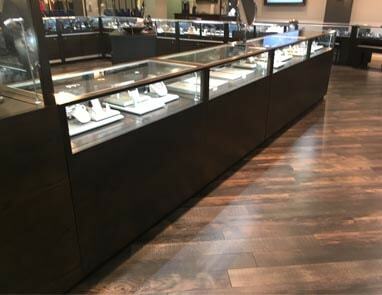 The type of display you choose will depend on your space and will affect the options available to you for features of your display. 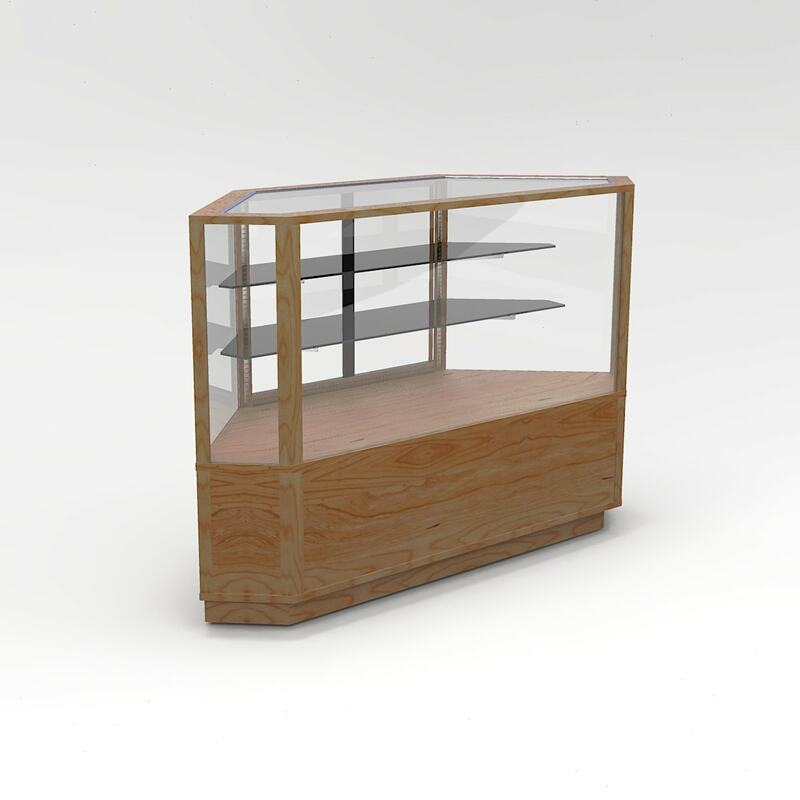 Horizontal displays are wide, generally ranging from 36 inches to 72 inches, and tend to be less than 36 inches tall. 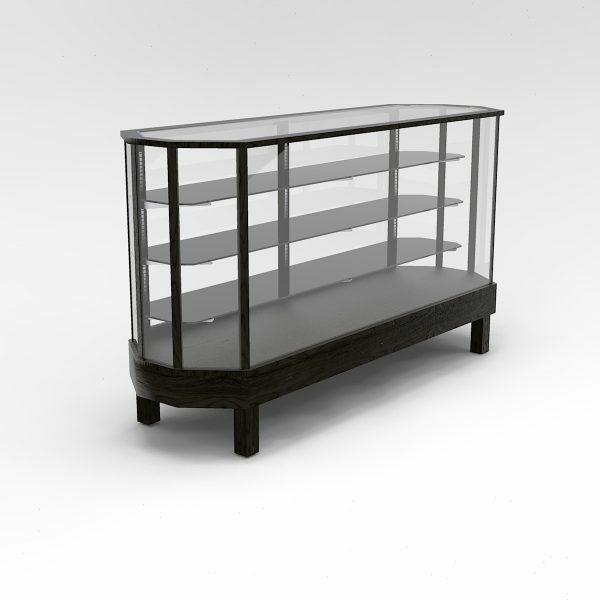 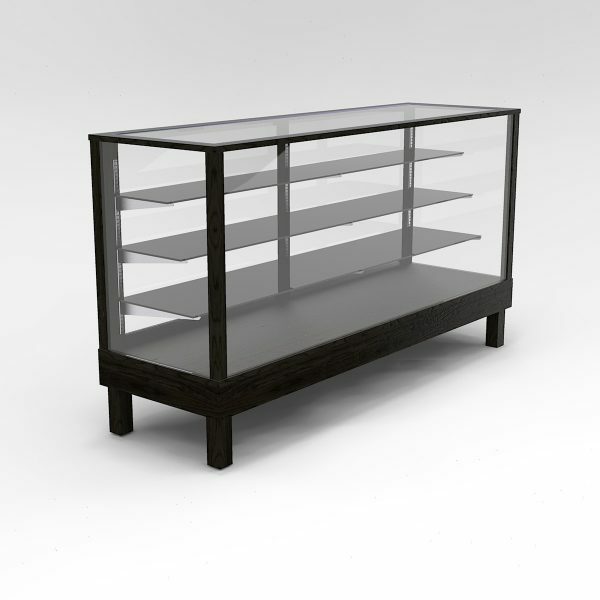 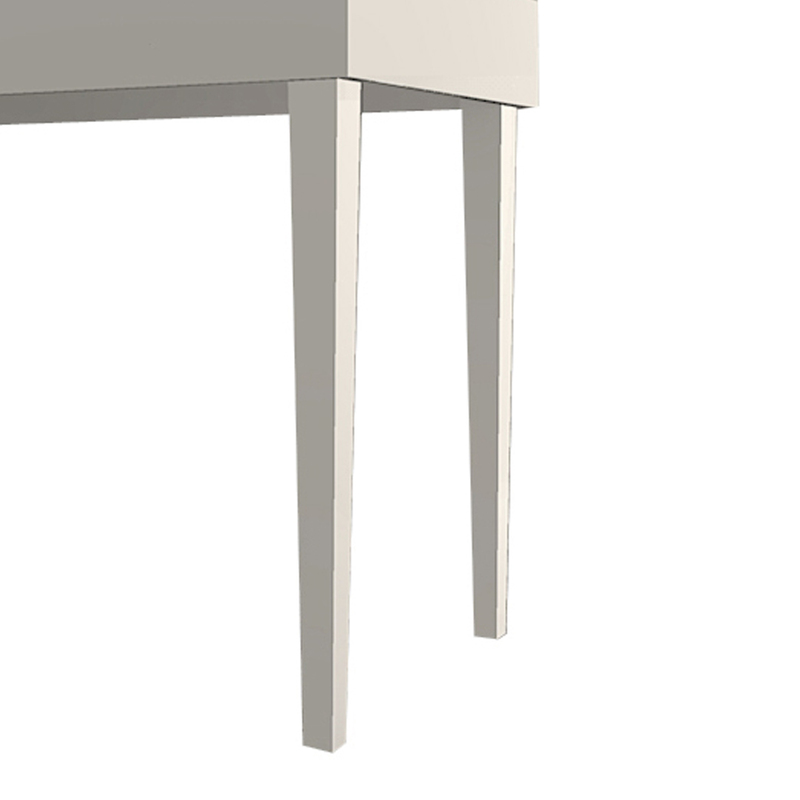 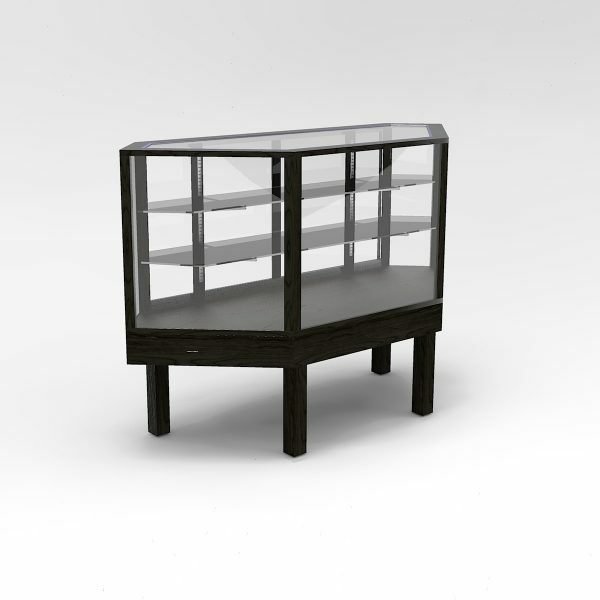 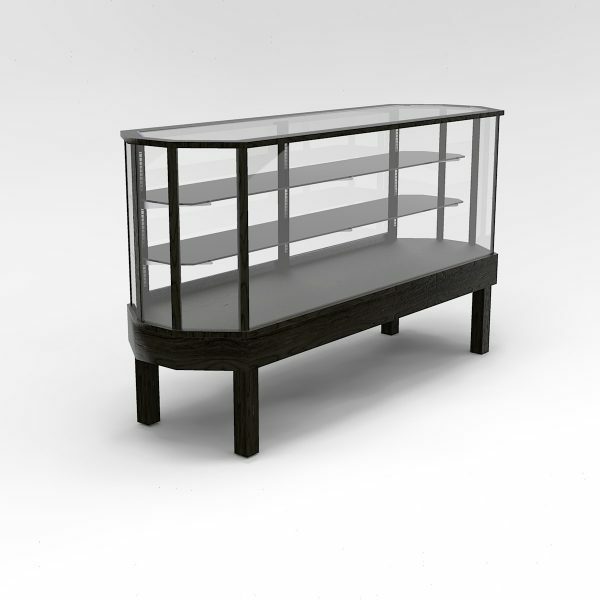 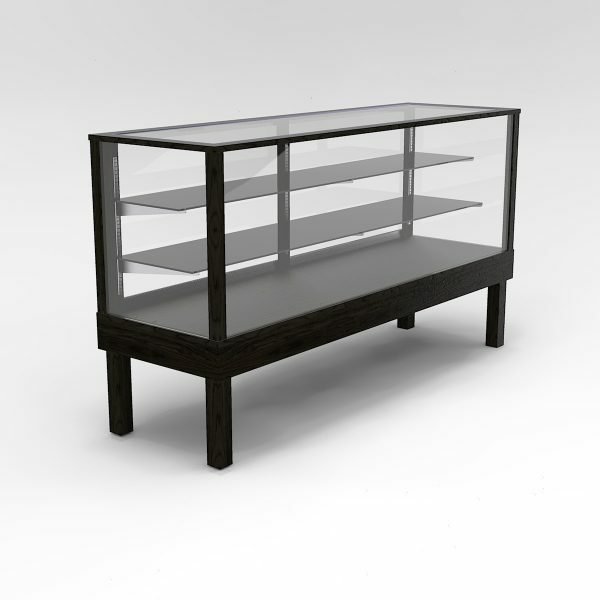 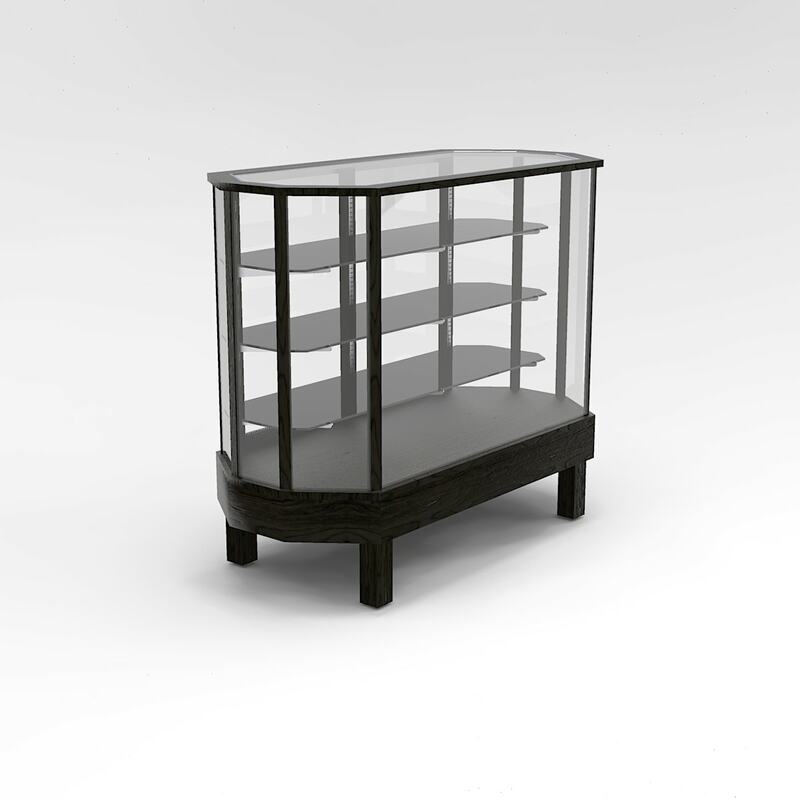 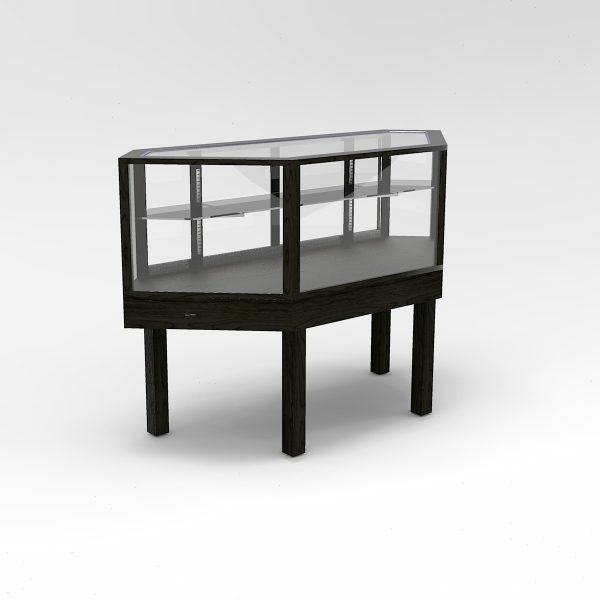 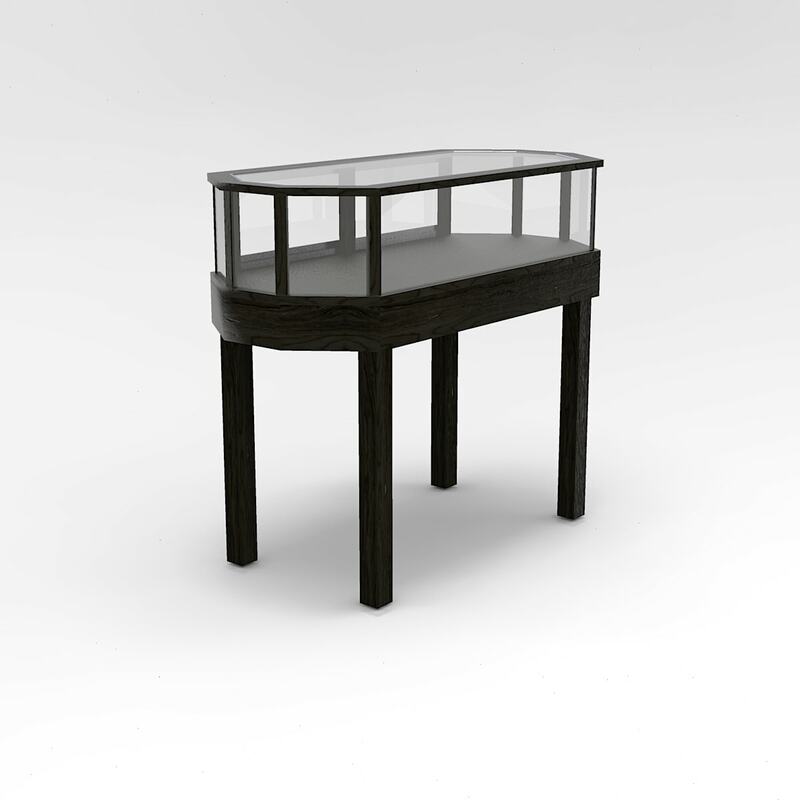 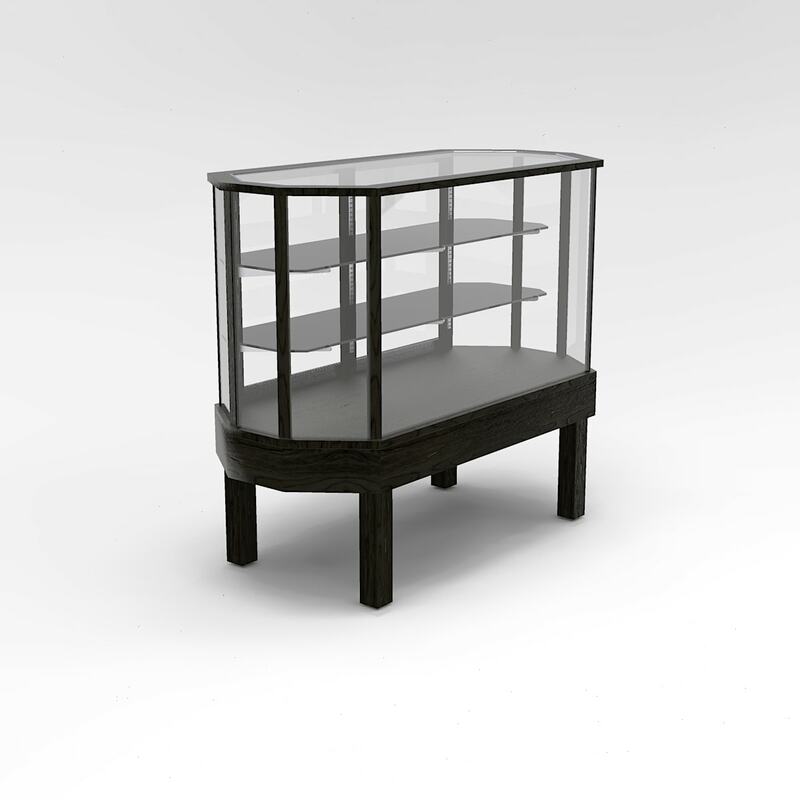 They can have many different glass (vision) heights and storage options.